You've mastered the art of program design, now it's time to add the technology WOW factor to your arsenal of moves. Travis will show how SMS adds a touch point with clients between sessions. He'll explain how heart rate monitor technology, body composition tracking and reporting helps his clients set and achieve new goals and dials into their inner competitor. Vito will explain how customized fitness apps allow trainers to create their own online client community with simple, effective swiping and daily reporting. Travis Barnes is the founder and franchisor of Journey 333. 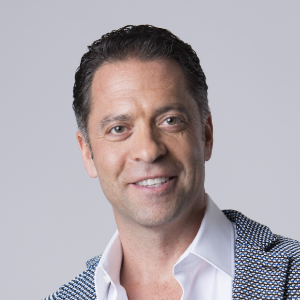 He is an ACE certified personal trainer, coauthor of the bestselling book “Results Fitness” written with Rachel and Alwyn Cosgrove, author of Journey Fitness with forward written by Todd Durkin and co-author of 52 Amazing Journeys. 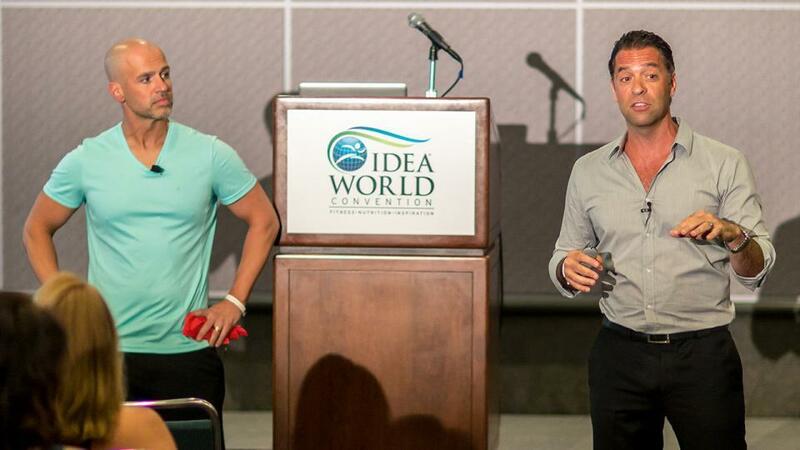 He is an international presenter and teacher of FitBiz Mastery. It is his passion to teach fit pros how to systemize their business for success. 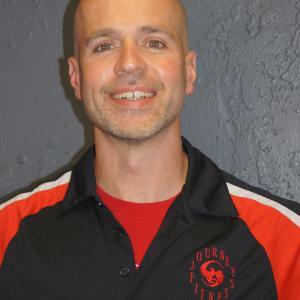 To contact him just email travis@journeyfitnesscoaching.com ... read more. I like to consider myself the NO BS business educator, personal brand coach, and certified high performance coach to the wellness and fitness professional…” Right here is where you usually encounter the 3rd party corporate voice talking to you about someone in the 3rd person about all their accomplishments and achievements and that’s cool. But, don’t you usually start to feel a little disconnect from the author, speaker, presenter, coach, trainer, owner, whatever it is that you came to check out on their website to see if they would be a good fit for you to learn from? I do. So, since this is my site, I thought I would take a different approach, have some fun and talk to you direct and keep it real. I am Vito La Fata, and I like to consider myself the NO BS business educator, personal brand coach, and certified high performance coach to the wellness and fitness professional who is looking to get outside the box of the industry and start learning how to grow a personal brand online that reaches people far and wide via having a virtual business and if you want an offline business, cool. BUT, to be fair today, that offline business doesn’t have to be a brick and mortar business. It can mean you run live workshops, retreats, coaching groups, events, masterminds, if you can imagine it – you can build it! As a fitness and wellness professional today – having a business DOES NOT have to be the traditional brick and mortar anymore. That model as a small business owner is becoming more challenging due to changes in people’s buying behavior, consumer habits, busy lifestyles, and mobile needs and wants. Brick and mortar still serves a purpose if you really want it, I’m just here to say – it’s not the ONLY way anymore. You see, about 5 years ago facing being broke, devastated financially from a bad business partnership gone south, having short sold my house to stay in business, stripped down the barest necessities, I made the choice to reinvent myself and invest my time learning how to build a smarter fitness mousetrap than what was being taught by the major conferences, the national certifying agencies, and most presenters and speakers. When I was in my office being told my business was a “job” not a business, was the day I began a 5 year journey studying under some of the most prolific and successful entrepreneurs in the world, from Todd Durkin, Jeff Walker, Brendon Burchard, Darren Hardy, Bo Eason, Callan Rush, Dan Kennedy, and more, plus I devoured any book I could get my hands and ears (audio books rock) on as I committed to a book a week discipline to improve my understanding of marketing, business, high performance, leadership and entrepreneurialship. Since, those dark days, I’ve gone on to build, several brands, become the product launch manager for cutting edge fitness professionals such as Todd Durkin, a internationally recognized speaker and writer, I’ve contributed to IDEA Health, IHRSA World Conference, MindBody Conference, Australian Fitness Health Expo, Canfitpro, Fitness Business Summit and Club Industry. All this in hopes of turning around to serve you, the fitness professional, with accelerated business, marketing and most importantly high performance growth, so that you can avoid walking that long road and making the same mistakes. Today, I’m committed to sharing with you how to create a business you rock and lead a life you love! ... read more.